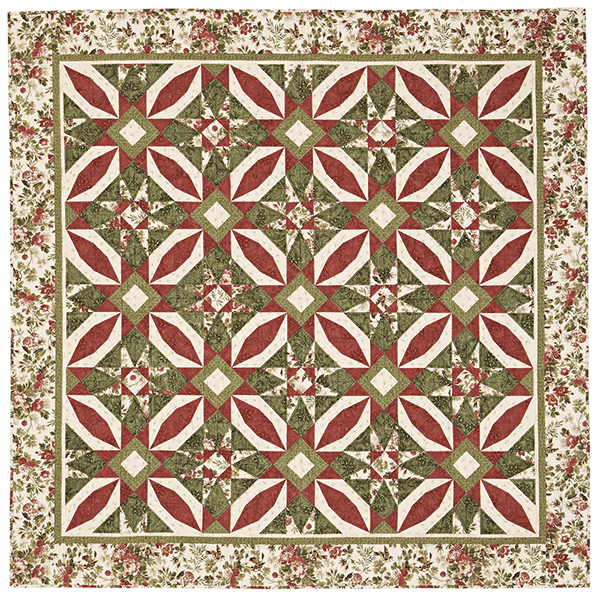 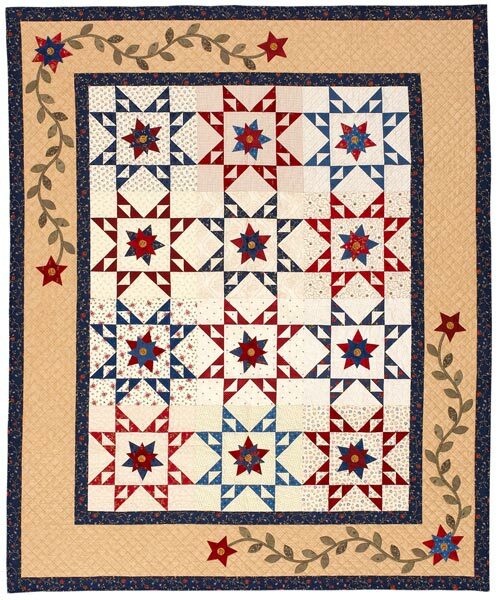 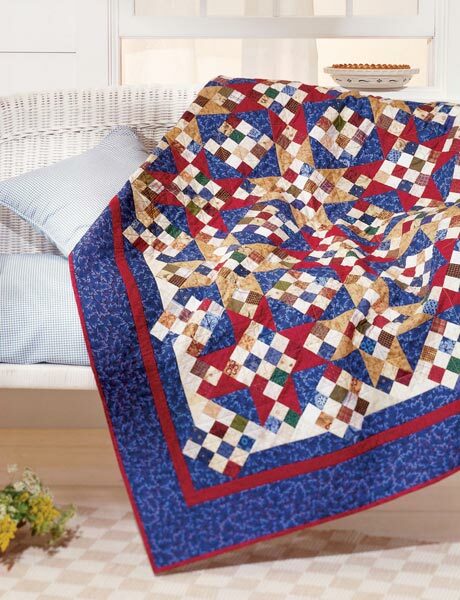 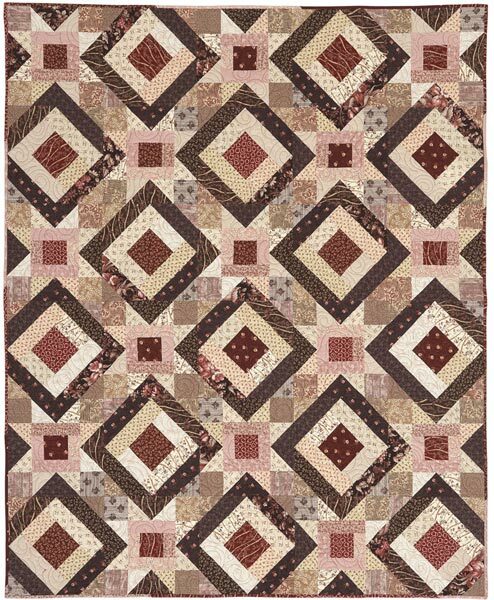 Glowing golden stars take center stage on the Log Cabin blocks in a charming appliqued quilt. 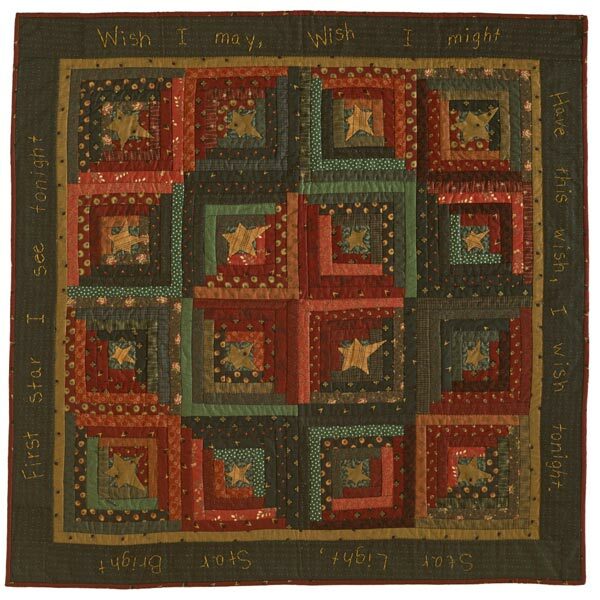 A childhood verse hand-stitched around the border warms the heart with its wishful message. 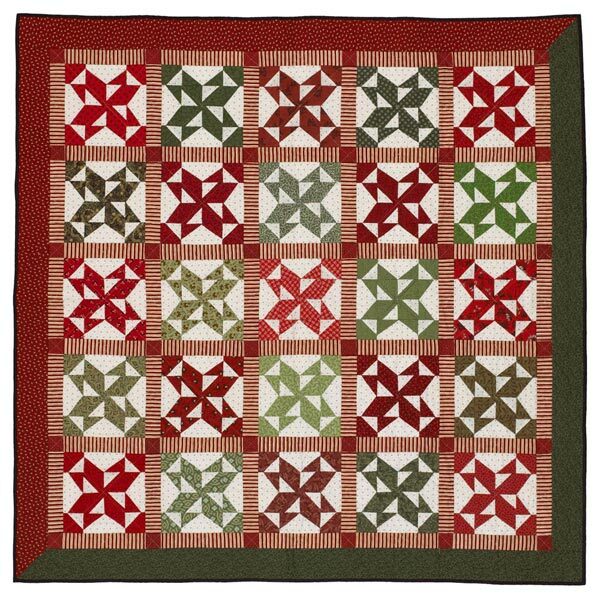 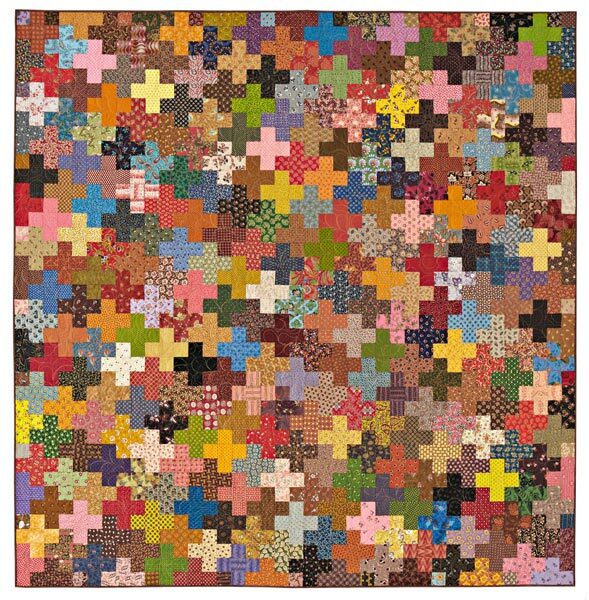 Finished quilt: 51" square. 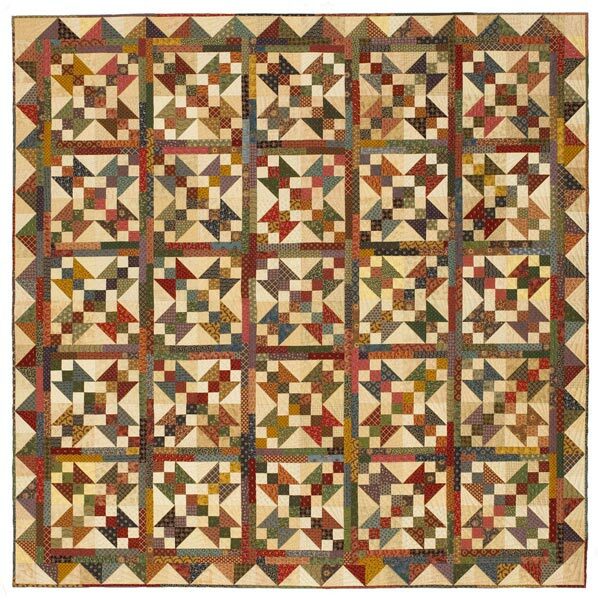 Finished block: 10-1/2" square. 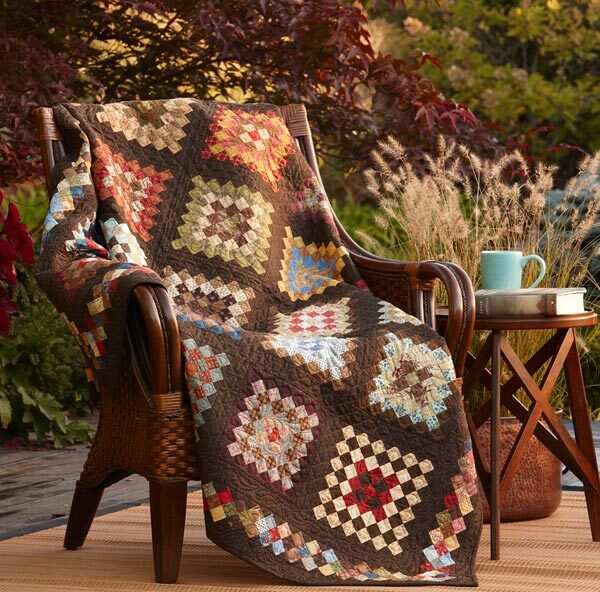 Designer: Jill Kemp.